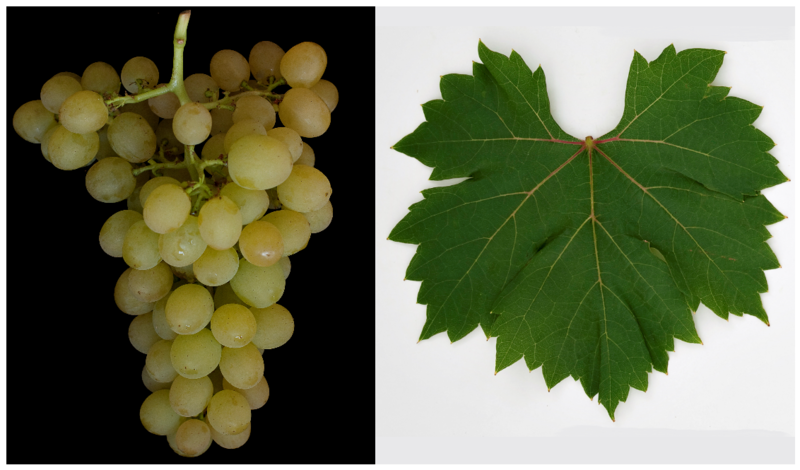 The white grape variety (also Fehér Csepel Tolarent 92, Prim) is a new breed between Seyve-Villard 12-375 ( Villard Blanc x Queen of the vineyards, The former name was Prim, but confused with the variety Primus she was renamed. Synonyms are Augusztusi Muskotaly, CS.FT159 and Csepel Fehér Tolerant 92. The crossing took place in 1966 in Hungary by the breeders Pal Kozma, Lazlo Nagy and Marta Urbanyi. The oval, golden yellow berries have a slightly pronounced nutmeg, The early ripening vine is resistant to both mildews. frost and dryness. She is called table grape used. In 2010 were in Hungary six hectares of vineyards reported (Statistics Kym Anderson ). This page was last modified at 26 January 2018 at 04:13.